By our count, Clark County high school teams recorded eight state championships in the 2017-18 Washington Interscholastic Activities Association calendar. 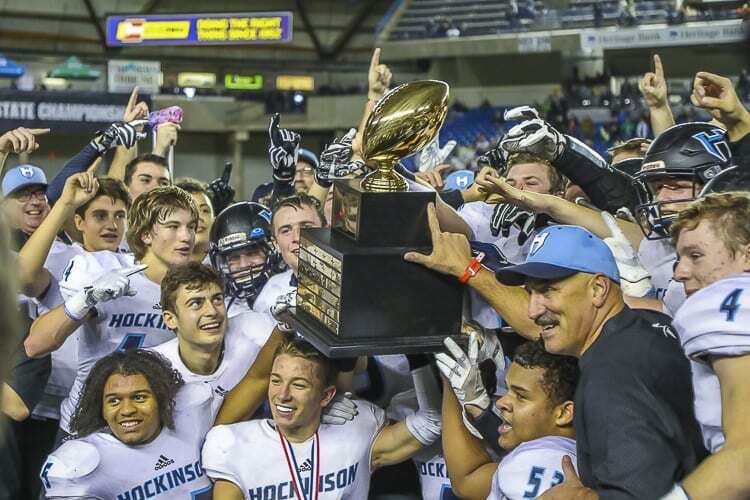 The Hockinson Hawks got us started in the fall with the school’s first title in football. There were three more team champions in the winter and four this past week at the spring championships. Several more placed at state.